Selfishness. We can be so focused on ourselves; whether it be our own pleasures or even needs, that we miss the bigger picture. Fear. What we don’t know scares us so we avoid it. Pre-conceived notions (invalid assumptions). For example, taking one bad experience or hearing about someone else’s bad experience we assume something will “always” be like that. Google some reviews on your favorite and most reliable restaurant or hotel and you’ll soon learn that someone has deemed the restaurant “low grade dog food”, and the hotel has bed bugs. My favorite here is beach vacation resorts when people say the mosquitoes were as big as birds, there was sand on the floor in the room (can you imagine? ), or the walk to the beach was horrible – a whopping three minutes. Spoiled! Arrogance. My way is probably better so why change? Distractions. Follow your favorite baseball team through the playoffs and the World Series and you’re in for a minimum of 11 games (that’s if they sweep all three rounds). Assuming the team loses four or five games and each game lasts around three hours that is somewhere in the 45 hour range over the course of a few weeks. Not judging here; you’ll find me watching some baseball this post-season. The point is that we need to be cognizant of our distractions. Carelessness. Just plain old “not paying attention” or not caring enough to pay attention. Today’s scripture readings include the conversion of Saul (Acts 9:1-19) and while this was true physical blindness, it is also a great example of one who was metaphorically blind to the truth of Jesus Christ but through a miracle, he came to see and believe. 8 Saul rose from the ground, and although his eyes were opened, he saw nothing. So they led him by the hand and brought him into Damascus. 9 And for three days he was without sight, and neither ate nor drank. One of the things I love about journaling is that it has challenged me to do a lot of self-reflection, and document some of the things of my past. This week I took some time to consider my prior “blind spots” and their causes. The list below is about a third of what I came up with in a short period of time. Writing this list gave me a greater appreciation for God’s mercy and grace in my life as there are so many areas where I’ve been blind to the truth and missed out on the joy that our lord and savior Jesus Christ has for me. Beets. Okay, so it starts out light but it was the first thing that popped into my head. Quite a few years ago I claimed this was the only food I despised and wouldn’t eat. 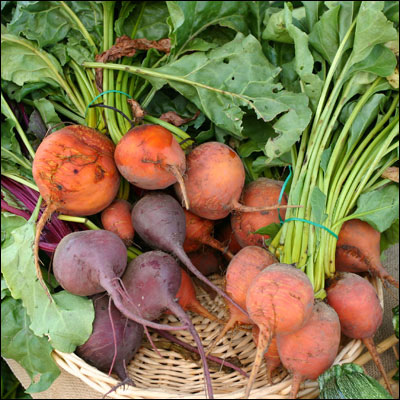 I was so blind… beets are colorful, nutritious, and delicious!!! They can’t be beat! If you’ve ever seen (or heard) me eat really good food, you know that I do find joy in some of the little things. Career. Opportunities were right there in front of me. My priorities were not in place. I was selfish, arrogant, careless, distracted. Tobacco. I “dipped” tobacco as a teen and through college. Literally throwing up upon trying it, I still went on to become addicted to nicotine. The habit of placing a known cancer causing substance between my lip and gums went on for years. Blindness. Frequently getting home from school and playing video games for countless hours, or procrastinating (or simply not following) other worthy pursuits. These distractions were detrimental to my education, and personal/professional growth. Recognizing friendships that were good and healthy vs. those that were toxic. Do your friends lift you up? Do they encourage you to follow the straight and narrow path or the path of destruction? This next one has been on my heart for a while, in part because of some of the marriages that I’ve seen fall apart. Too often I have been blind to my own wife; the person I voluntarily chose and promised to spend the rest of my life with, for better or for worse. It is blindness to not recognize her beauty inside and out, all the time. We (talking about humans in general) invest so much time into education, career, kids, and retirement but how much do we invest in our relationships with our spouses? Simply living in the same house and trying to get along is so not enough, it isn’t even funny. Sometimes I realize Amy is waiting for me to notice her, and I’m just blind. However, when I get it right and pay attention, I receive the most beautiful smile imaginable. She’s the most amazing person I’ve ever met and I’m so thankful for her. She is a true gift from God. Husbands: love your wives. Pay attention. What greater blindness is there than missing the significance of the cross? Upon Saul’s conversion he proved his belief by immediately taking action. If we are not actively sharing the gospel with those who are lost, what does it say about what we believe Jesus has done for us? What am I blind to now? Lord, please remove the scales from my eyes. Let me see my sin as you see my sin. Let me see others as you see them; lead me to love others more and myself less. Amen.